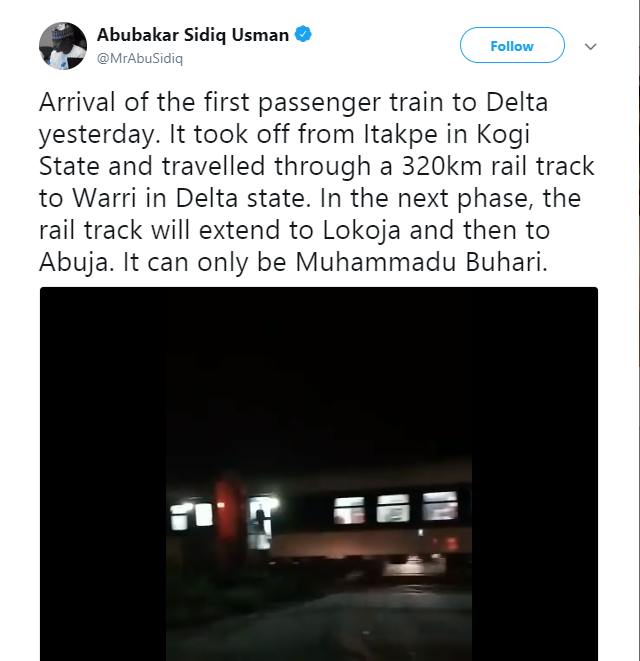 There was jubilation among residents following the arrival of the first passenger train to Delta state yesterday night. 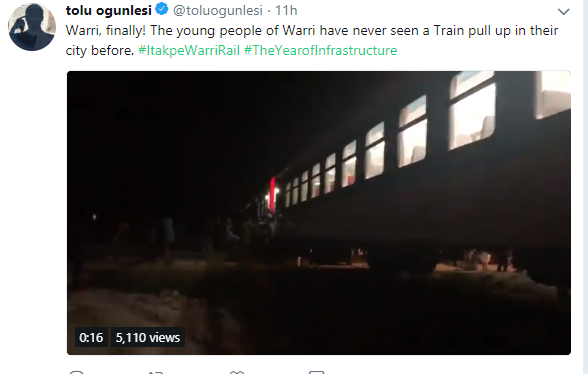 According to reports, the train took off from Itakpe in Kogi State and travelled through a 320km rail track to Warri in Delta state. 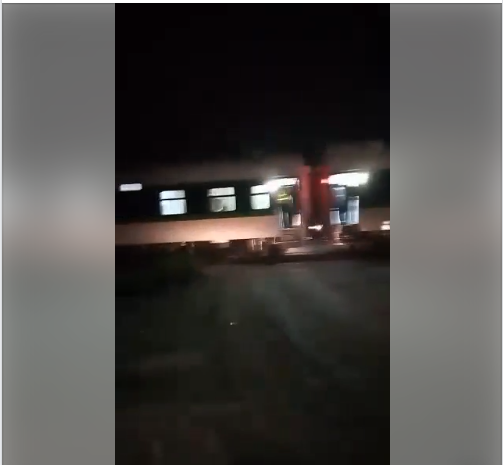 In a video footage posted online, the train which arrived in the night – sparked jubilation among residents who rejoiced as it passed through. It has been revealed that in the next phase, the rail track will extend to Lokoja and then to Abuja. This is coming after the minister of transportation, Mr. Rotimi Amechi, yesterday, met with the contractors and some members of his cabinets where they tested the rail from Warri to Kogi (Ajaokuta), earlier during the day. It was also revealed that when the Itakpe-Warri Rail is completed, commuters will be able to travel from Kogi State to delta State by Rail, passing through Ajaokuta, Uromi, Agbor, and Abraka. 0 Response to "Residents Jubilate As First Passenger Train Arrives Delta State (Photos/Video)"